Do you need a theme designed using your CI (Corporate identity)? Do you want to modify themes but don't have the time or knowledge to work meticulously on CSS and HTML? 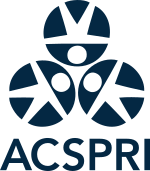 The Australian Consortium for Social and Political Research Incorporated (ACSPRI) has been contributing to, supporting, customising and hosting LimeSurvey in Australia for over 10 years. Contact us for local support and assistance. We are based in Melbourne. ACSPRI can provide a customised LimeSurvey template to suit your needs. Limesurvey-Consulting.com was founded by Limesurvey’s Head of Support “Dr. Marcel Minke” to offer professional consulting and services for Limesurvey. We have been working with Limesurvey since 2007 so we know its features and software architecture very well and we also contribute new features to the Limesurvey core. We are supervising more then 200 survey projects each year and have created over 100 customized Limesurvey templates in the past. TEMPLATE DESIGN: In recent years we have developed more than 50 professional templates for different customers. Since the shipped Limesurvey templates lack a modern look and feel and are quite outdated, we recommend users doing professional surveys use a customized Limesurvey template which matches their corporate design. It is also important to carefully test such a template in all major browsers because templates using invalid HTML might even cause a survey to crash. Some generic Limesurvey templates are available at our Limesurvey Template Shop at www.limesurvey-templates.com. All these templates use a modern DIV/CSS based design which can easily be customized later on. They are tested on all major browsers with a complex test survey which contains all question types and advanced question settings. ..is your service partner for LimeSurvey from Hamburg. We will assist you in all belongings of LimeSurvey. Former we offered our service under the brand "research on BLOGS". ..ist Ihr LimeSurvey Service Partner aus Hamburg. Wir unterstützen Sie rund um die Online-Umfrage Software LimeSurvey. Bisher habe wir unseren Service unter der Marke "research on BLOGS" angeboten. We provide LimeSurvey template design. You need a CI-Template or a special template for your target group or do you need a mobile optimization? Contact us! Mit geschultem Auge setzen wir Ihre Templatewünsche um. Sie möchten Optimierungen für Smartphone oder Tablet-PC - kein Problem. Sprechen Sie uns an! CodeFire is a software services company. We provide web development services. We have extensive experience with creating Surveys using LimeSurvey. We have worked on multiple versions of LimeSurvey starting from V 1.x up to the latest ones. We support professionals and organisations doing research. We build internet tools like surveys, data dashboards and specific websites. We have specialized in LimeSurvey, Drupal and Wordpress. We focus on data security and user friendliness. We are the proud developers of the TFR responsive template, which has received much praise for it's flexibility, robustness and beauty.